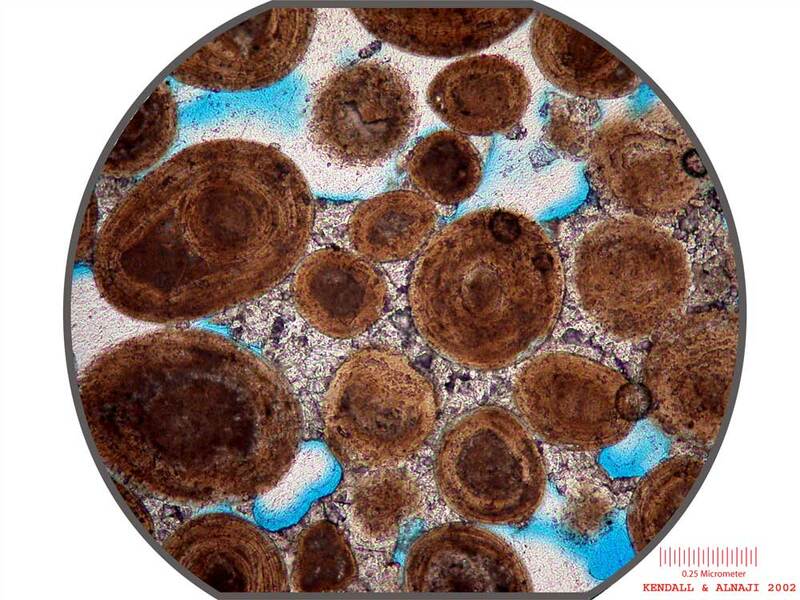 The striking meniscus cements are related to evaporation of freshwater charged with dissolved aragonite within the beach rock forming adjacent to the tidal channel that marks the southern margin of the Joulters Cay. 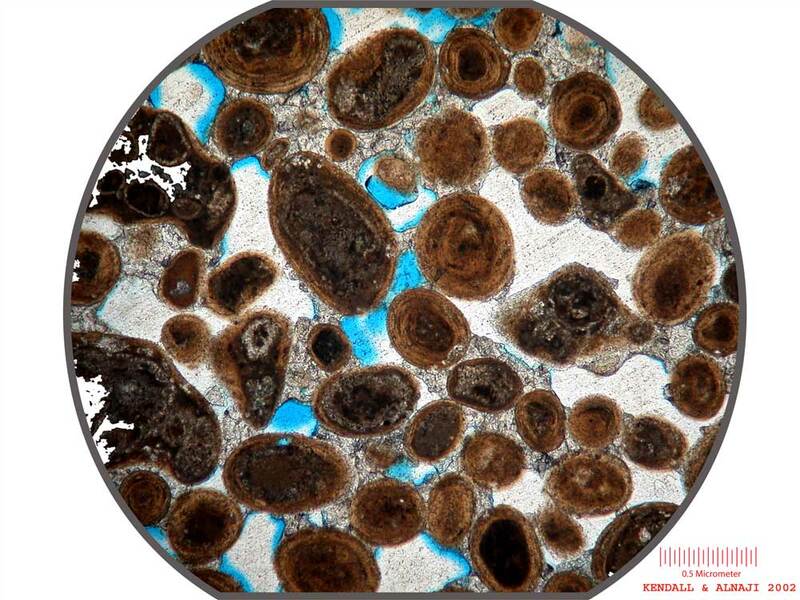 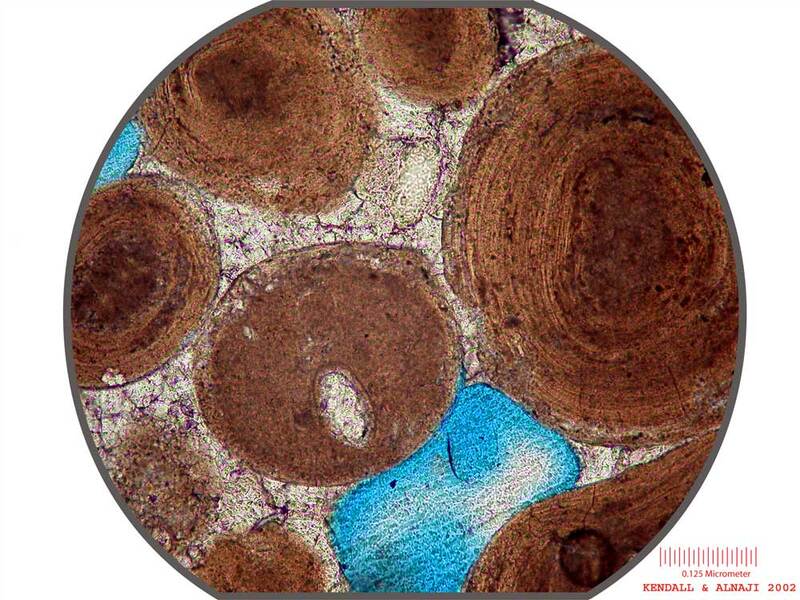 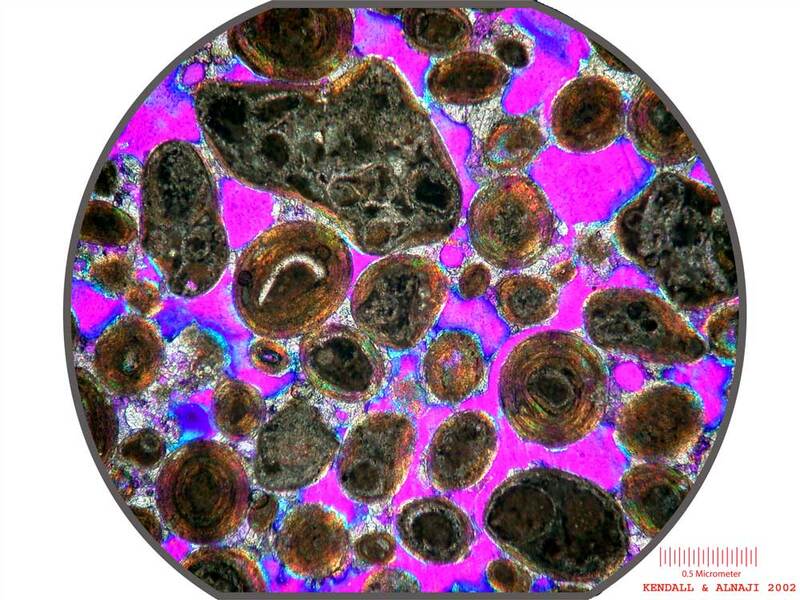 Aragonite ooids with concentric layering of cortex about micritic pelloid nulceae. 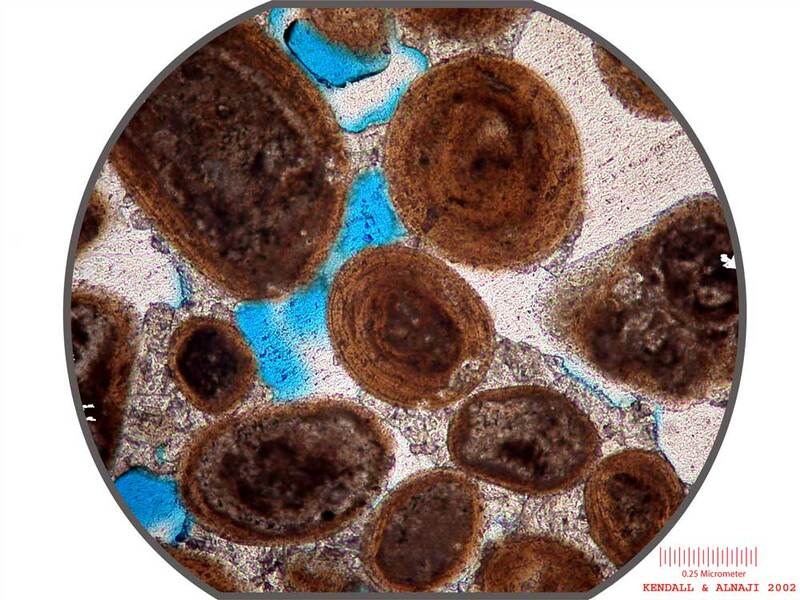 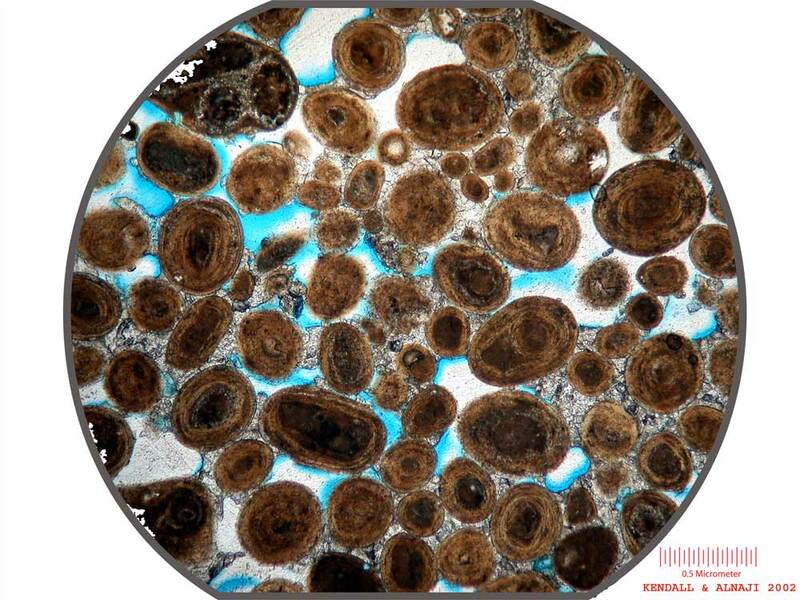 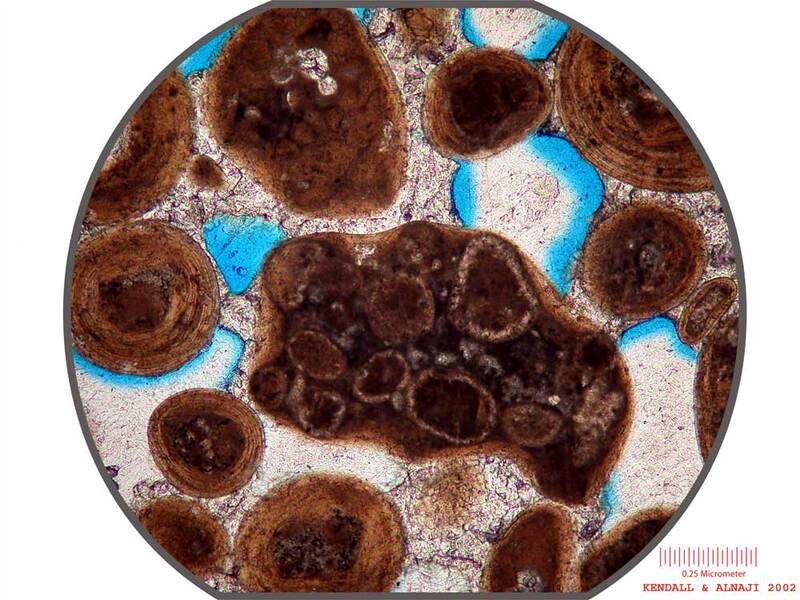 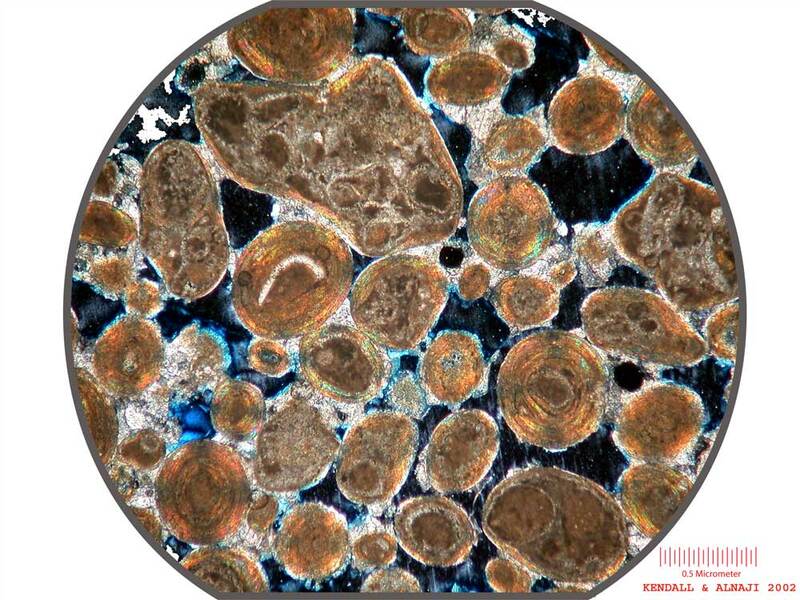 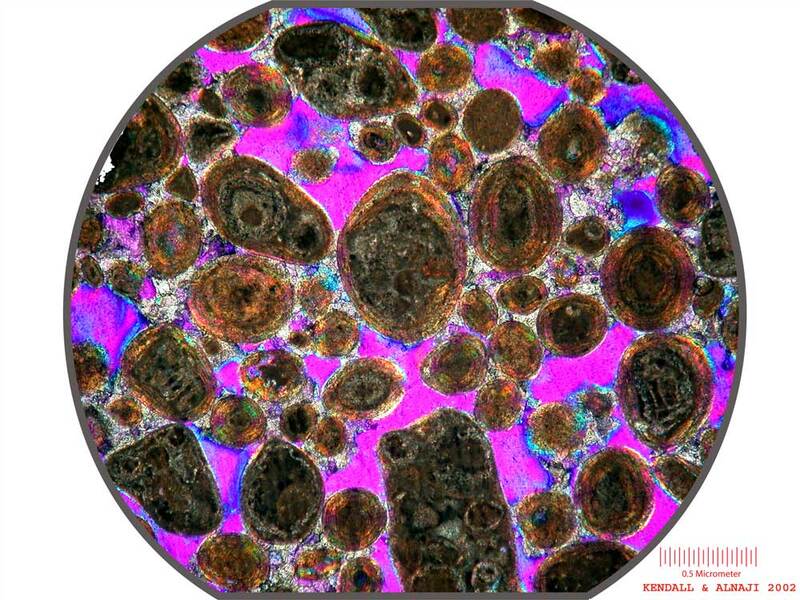 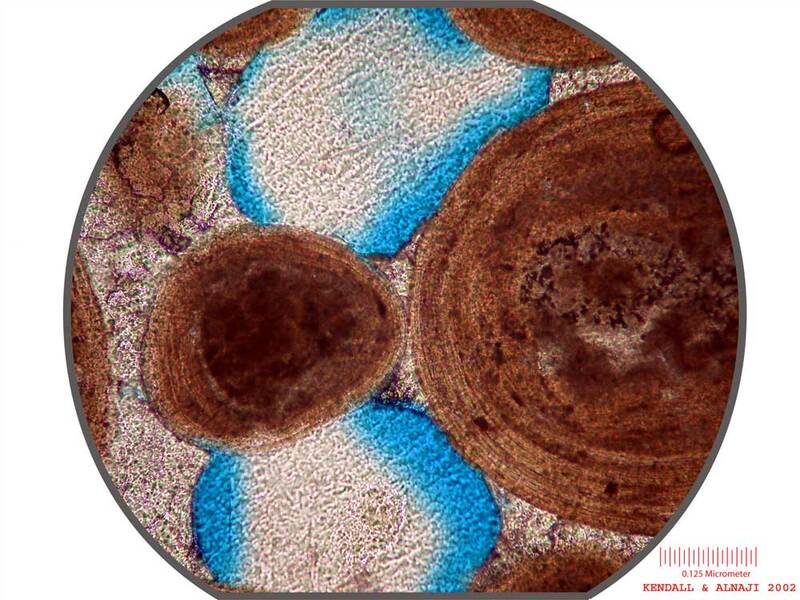 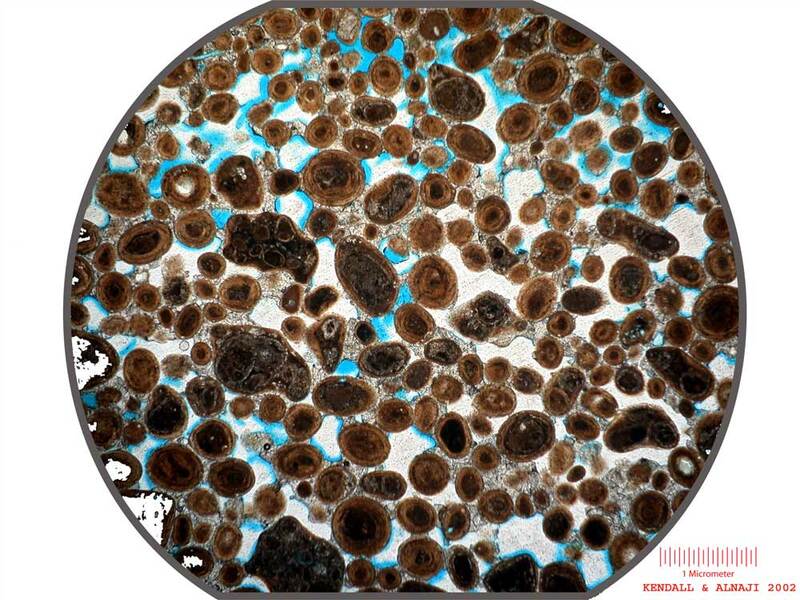 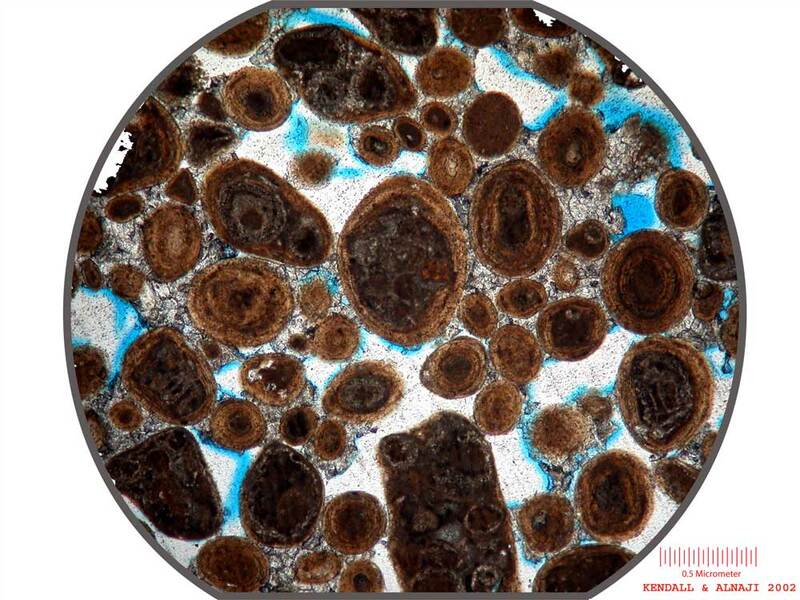 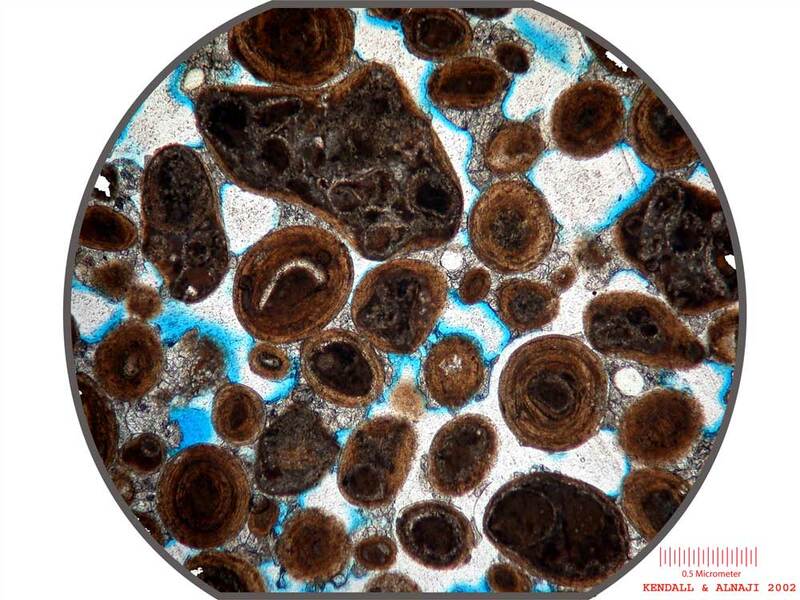 Botryoidal grains are transported grapestones that form nucleae and are enclosed by aragonite ooid coating. 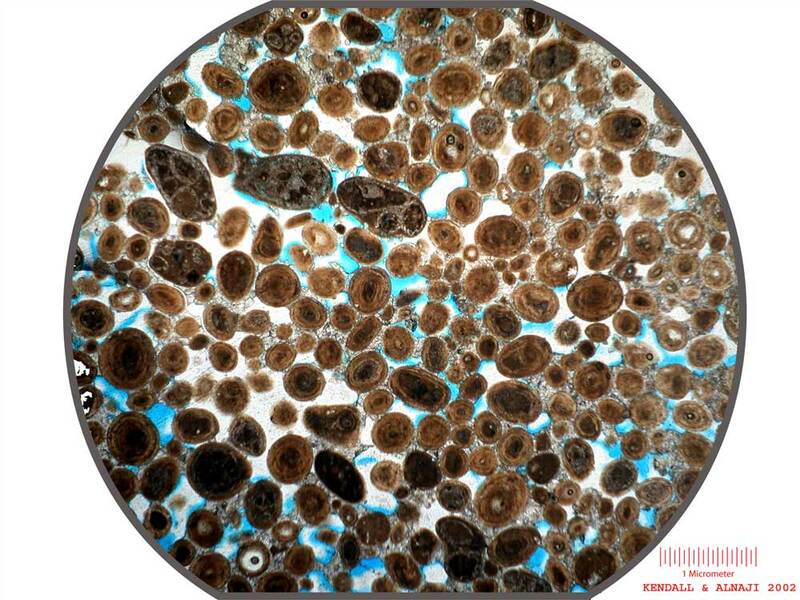 Darkened spots within ooid layers are cyanobacteria colonies that cause local micritization.